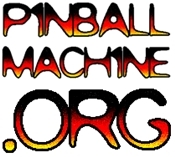 Pin a Go Go Pinball Show is coming to the Bay Area! The longest running pinball show in the Bay Area returns from May 18 – May 20. I’ve been privy to some of the details and it sounds like the new show organizers are working hard to make it better than ever with lots of new features. Don’t forget there’s a Pin Golf tournament on Saturday with all proceeds going to the Boys and Girls Clubs of Sacramento, and the Dixon Teen Center. Plan to stay later than usual on Sunday because the organizers are working to make sure there’s plenty to play until the end of the show, including ACDC Premium Edition. Dixon is located about one hour’s drive from SF/Oakland, and about half an hour west of Sacramento. Let your twitter and facebook pals know about the show using the links below! I’m just the local admin, but I’ll forward your comments to the guys who do the programming. Thanks.